We tried to cram as much into our NYC weekend as we could and I think we did a pretty good job for two days. Logan had so much fun, she asked a couple times why we can’t live there. Hmmm… after all her world travels, she may have found the city that really does have it all. 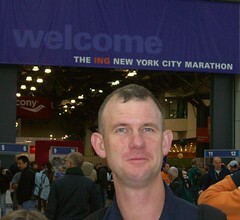 We arrived about 1pm on Friday, checked in and immediately headed over to the Javits Convention Center and John registered for the marathon. There was a lot of excitement at the Marathon Expo and my favorite part was getting brochures for future runs which John might drag me to ~ Rio de Janiero sounded promising. On Saturday morning, we headed to Rockefeller Plaza, went to the Observation Deck for some great views of the city, then watched the skaters on the ice rink. No Christmas tree yet. When making plans for a Broadway show, I decided to splurge (just this once) and got front row tickets to Mama Mia at the Winter Garden Theater. And front row they were ~ our seats were so close to the stage, we could see the actors spit and one even winked at Logan. The conductor greeted us with “Welcome to the front row.” In addition to seeing the stage, we could see BELOW where the band was playing. Logan was fascinated with the musicians so she missed a little of the story line. A lot of the fun of NYC is people watching and we did a whole lot of that ~ John decided there must be a uniform for women since every other woman wore the following: jeans, black shoes/boots, and a black knee-length coat. Our hotel was located at 3rd Ave and East 53rd so we we could walk to most areas easily although Logan & I did catch a cab a couple times during our outings alone. She had fun trying to “hail a taxi” and was getting very good at it by the end of the visit. Even for a city such as New York which has seen more than its share of world events, everyone was abuzz about the marathon. It was a big deal for all the boroughs and the excitement was palpable for runners and non-runners alike. Wow! Great job on the marathon!! And I had a similar experience seing Mamma Mia in San Francisco – what a fun show – I am actually humming the theme song as I type. P.S. I know what you mean when you are talking about a difficult week ahead – it was three years ago that I actually met you for the first time (up until then I had only heard about you). So glad I got to meet you, just wish the circumstances had been different. I was wondering how he did. Of course, there was no doubt really that he’d do well. 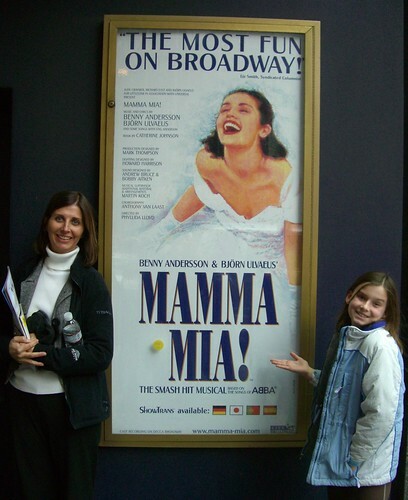 And so jealous of NY, but not so much of Mama Mia – not really an ABBA fan, much to the dismay of my husband and son! tljess: Surprisingly, the women were wearing “comfortable” shows ~ not a stiletto to be found. And those UGG boots from Australia are very popular. I will bet that all the women wearing their “uniform” were wearing spikey black heels (whether they were boots or shoes) How do they do that??? 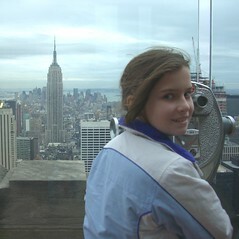 I loved NY and know that L would think it fantastic! That destination is on our list of “Get to Places”. Have to make sure that J can keep up – we wouldnt want him to get lost in the crowds . . . . haha. Wow, congratulations!! Great job! Love the pictures, too. I’m so envious about your NY weekend. I’ve only been to NY once, and only for 48 hours. We hope to plan another trip in the not-to-distant future. Woo Hoo John! Congrats on another marathon. Come on down to VA Beach this March and you can run the Shamrock with me.